Conveniently nestled right between Lake of Two Rivers and Mew Lake campgrounds, we stop in between the two, at the Store & Cafe parking lot. There is a short trail that connects to both campgrounds from there, and a nearby beach and to Highland Backpacking Trail. 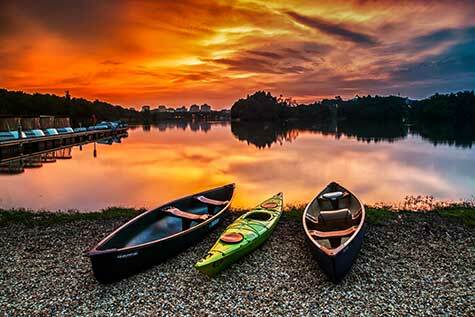 Canoe Lake is one of the most popular canoe access points in the park. The Portage Store will help you with all your outfitting needs, while permits are also issued right there, so you'll be on your way to explore the vast network of lakes in no time. Pog Lake campground located closer to the east side of the par, offering more private campsites and a great alternative to the bigger and busier campground at Lake of Two Rivers. It is also the access point for Whitefish Group Campground. 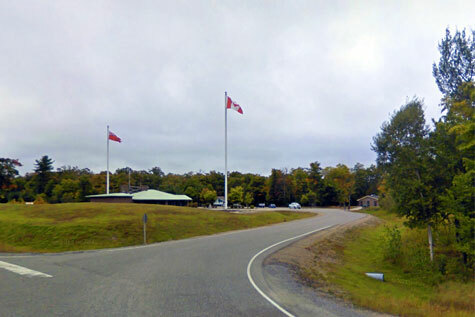 The official entrance to Algonquin Park! If you are planning to hike the Western Uplands Backpacking Trail you'll have to get off here to pick up permits here. The 2.5km hike to the trailhead is along the highway on unpaved shoulder! Check with park staff on safety/road conditions beforehand! Prefer a roof over your head? The Wolf Den Hostel & Nature Retreat is the perfect spot for anyone who wants to connect with nature. Comfortable, communal and affordable - a great home base for any adventure. Walking distance to Oxtongue Lake. Located 5km west of the park entrance Algonquin Outfitters Oxtongue Store is great spot to start your paddling adventure or a hiking trail - even if you are coming for a day. Are there overnight options for non-campers? Yes! However, due to their popularity, you need to make reservations well in advance. 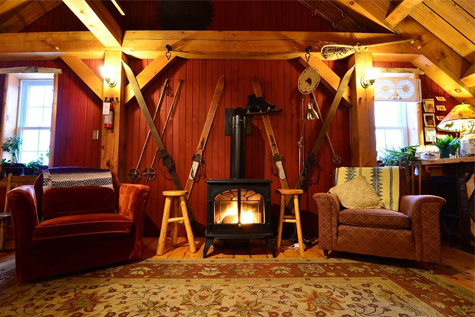 Wolf Den Bunkhouse (705) 635-9336 is an extremely popular option as they offer cozy cabins, private and semi-private rooms. While technically they are located about 6km from park's entrance, the natural setting is very similar, with many hiking trails and canoe rentals available within walking distance (give them a call to inquire). Oxtongue Lake Algonquin Outfitters base is about 10min walk down Hwy 60. 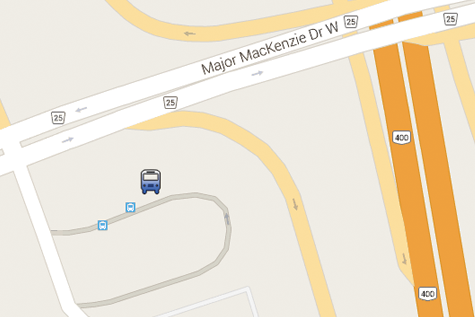 While Wolf Den is the only location where Parkbus currently stops, Algonquin Lakeside Inn, Blue Spruce Inn as well as Blue Spruce resort are located within walking distance. If you are looking for roofed accommodation inside the park, there are 3 high-end resorts, including Killarney Lodge, Arowhon Pines Resort, and Bartlett Lodge. While we do not stop right at their properties, they can normally offer a shuttle service to and from Lake of Two Rivers Store, or Portage Store - two of our official stops. 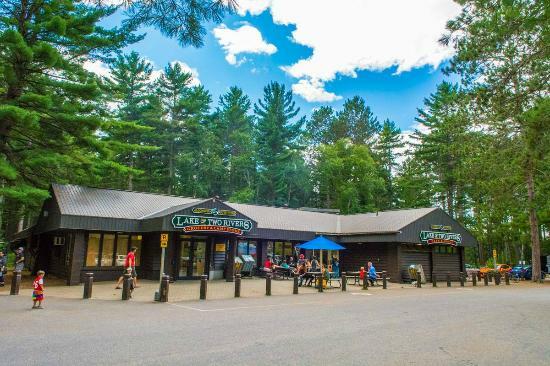 If you are staying at Lake of Two Rivers, or Mew Lake campground: Lake of Two Rivers Store is one of our stops, and offers basic grocery items (mostly non-perishables) and camping supplies. The adjacent restaurant also sells fast-food type items, such as hamburgers, ice cream, fries, pizza, etc. If you are starting or ending a canoe trip at Canoe Lake, Portage Store offers similar products and services. Do give them a call in advance to make sure they have what you need, there are no other options around! While spotty and unreliable, it has been (un)fortunately improving over the last few years. You will get best reception, and sometimes even 3G/LTE on top of hills, or in middle of some larger lakes. Ultimately, it depends on your operator - in the same place, one cellphone can have 3G connectivity, while another would be getting no service at all. We generally allow pets on the bus to Algonquin, as long as pet ticket is bought ($10 each way), the pet is transported either in a carrier or with a muzzle, and the owner assumes responsibility for a cleaning fee in case their pet makes a mess on the bus. Dogs must be on the leash when in the park. Bears, raccoons, chipmunks and other wildlife are attracted to human food, and you must take precautions. 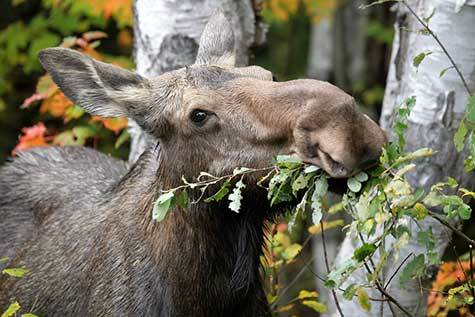 If you are staying at Lake of Two Rivers, Mew Lake or Pog Lake Campgrounds, park staff offers use of food lockers free of charge to Parkbus passengers. Lockers are placed in several locations around campgrounds (usually next to comfort station), and require a key which can be obtained at park office with $25 refundable cash deposit. How do we pay day use / camping / backcountry fees? 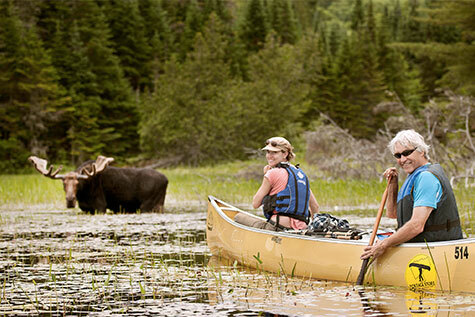 Note that Algonquin Park is a provincial park run by Ontario Parks, and does not offer free admission like National Parks (Parks Canada) do for 2017. If you are staying at Lake of Two Rivers, Mew Lake, or Pog Lake campgrounds, you can pay fees directly at campground offices when you arrive. 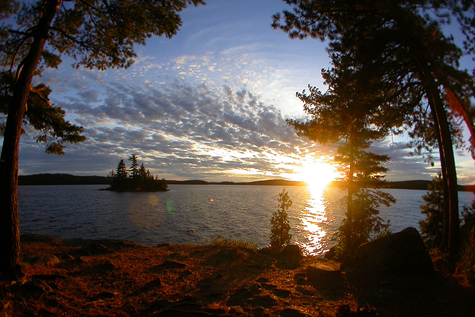 If you are going on a canoe trip, you must obtain your backcountry permit either at Canoe Lake (if you are starting at Canoe or Smoke Lake) or at Lake Opeongo - both locations have park offices. We run 56 seater passenger buses on this route, and generally you can bring suitcases, backpacks, coolers, and other camping equipment. 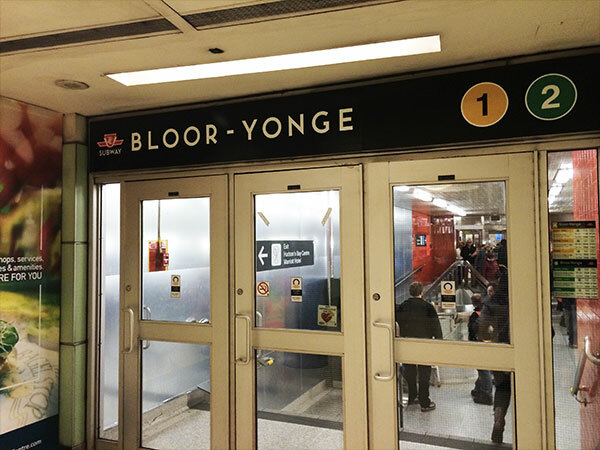 We allow up to 2 bikes per bus, on first-come, first-served basis where you have to call us in advance and reserve your spots. Fireworks, firewood, and firearms are NOT permitted on board or in the luggage compartment.